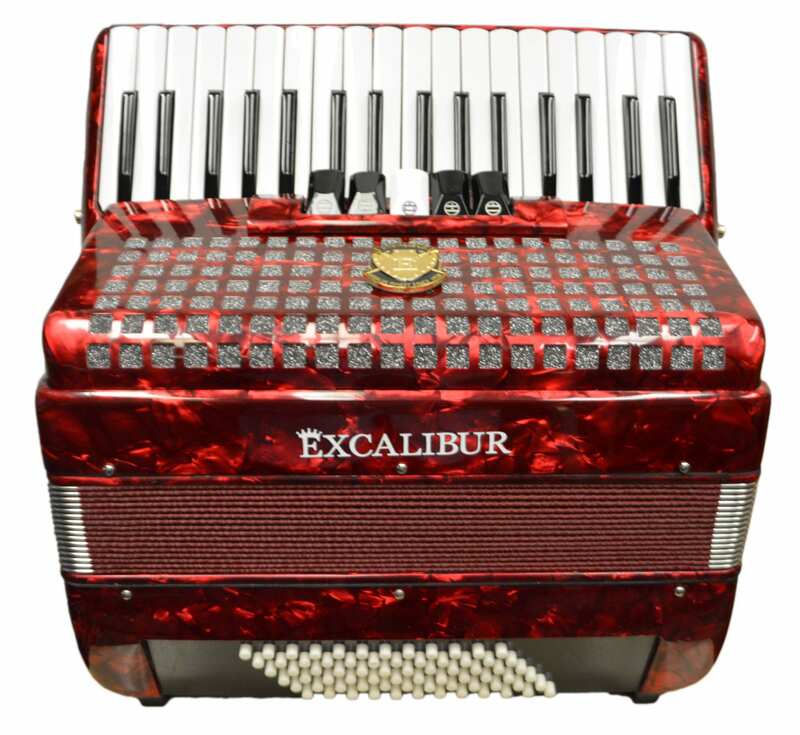 Super Classic Series Excalibur Super Classic 72 Bass Accordion - Dark Red We wanted to make the Classic Accordion lighter than ever, so we used all the lightest weight mahogany and aluminum materials. Then, we completely redesigned our Bass Mechanism and it's now lighter and more quiet than ever! 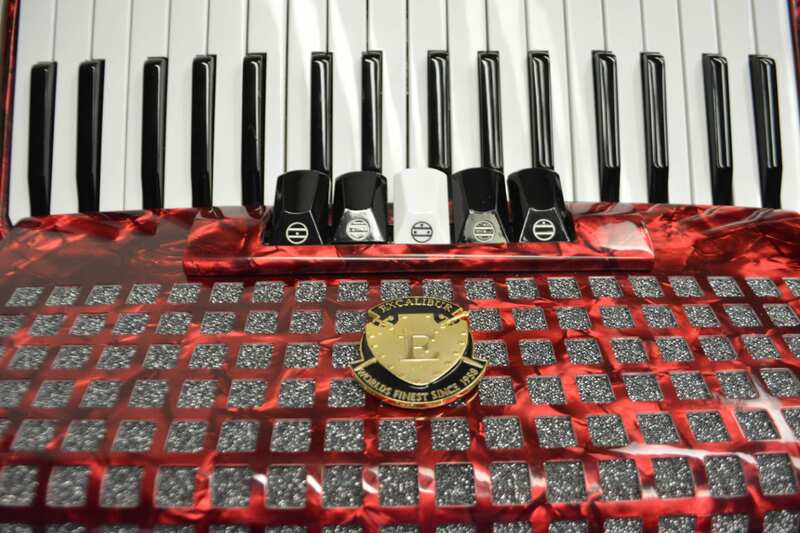 Thirdly, our engineers took a look back at the past and made a few head nods up and down to the sound and tuning of all the former great accordions. We wanted to make the Classic Accordion lighter than ever, so we used all the lightest weight mahogany and aluminum materials. Then, we completely redesigned our Bass Mechanism and it's now lighter and more quiet than ever! 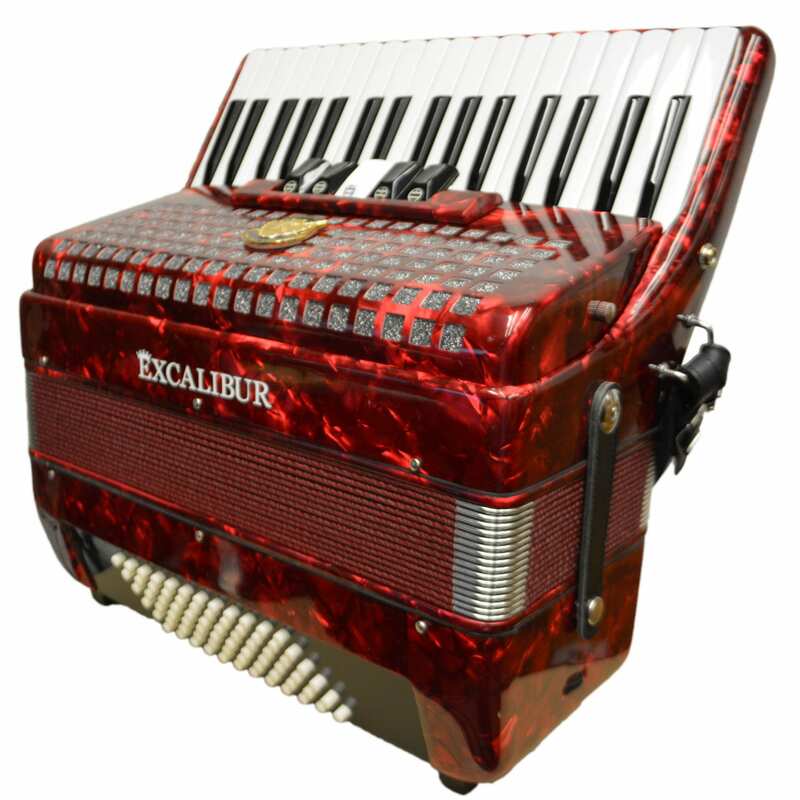 Thirdly, our engineers took a look back at the past and made a few head nods up and down to the sound and tuning of all the former great accordions. To create this sound today, we use all the very best handmade reeds from Stockholm, Sweden. Musette tuned middle set reeds speak our boldly, but sweet. Lower bassoon reeds pop with clarity and authority. Piccolo reeds are rich without blaring, and also blend seamlessly. The sound is a reflection of the past, but is also pleasing to the modern accordionist. 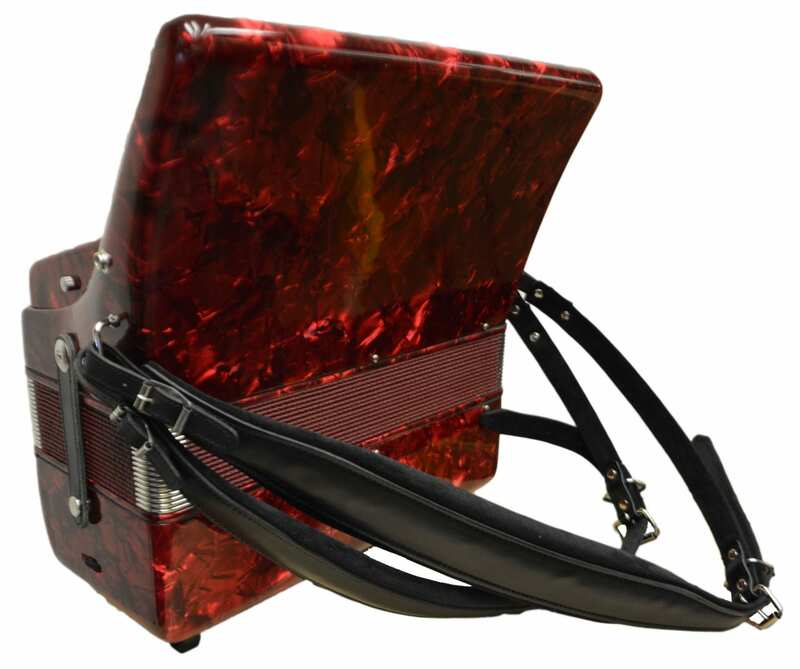 To compliment our new Super Classic Series - our German engineer, Dr. Kronenberg has designed a new accordion pickup system that is the cleanest sounding to date. No more key clacking and unwanted overtones - a pickup that is as clear and clean as the reeds it's amplifying. Want to have a quality accordion recording? Want to sound the best on stage? The new excalibur Microphone system by Dr. Kronenberg has you covered. All the best components, and entirely made in the USA.